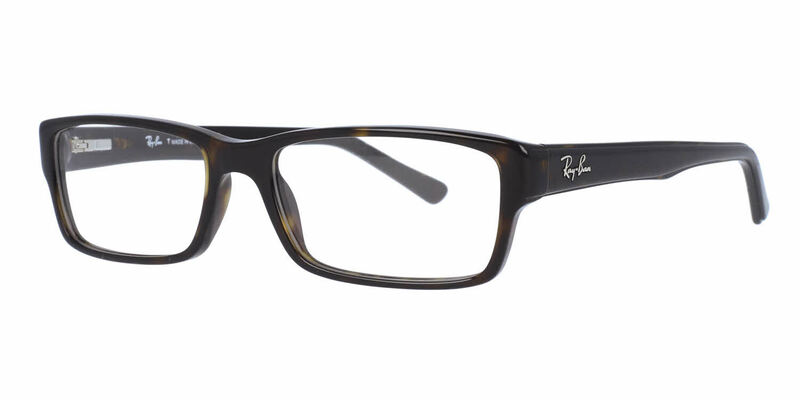 I am a big fan of these Rayban frames. Frames Direct sent me the frames in a few days. My first time buying prescription glasses online. This was a replacement pair for a similar style. Great fit, great quality. Fast shipping. Will order again. I ordered the Ray-Ban 5169 (black on transparent) in size 54. The glasses are very stylish and have a nice look with the transparent and black. The overall comfort is very good, but like other plastic frames that don't have the nose grips built in, they can slip down from time to time. If you don't mind adjusting them once in a while (I don't mind), it's not a problem. If you don't want that, either get some nose grips that you can apply, some temple grips, or find a different frame that has these built-in. I am very pleased with the frames. I got them with poly lenses and the XTRActive feature, which is very nice. I only order from Frames Direct. The prices here are at least 60-70% cheaper then eyeglass stores. I saw the same Raybans for over $200. I like to have at least 3 or 4 pair of glasses and with Frames Direct I'm sure to get a quality frame. These glasses are perfect. The fit nicely and have a great finish. The lenses are perfect and the prescription was spot on. I love my new glasses.